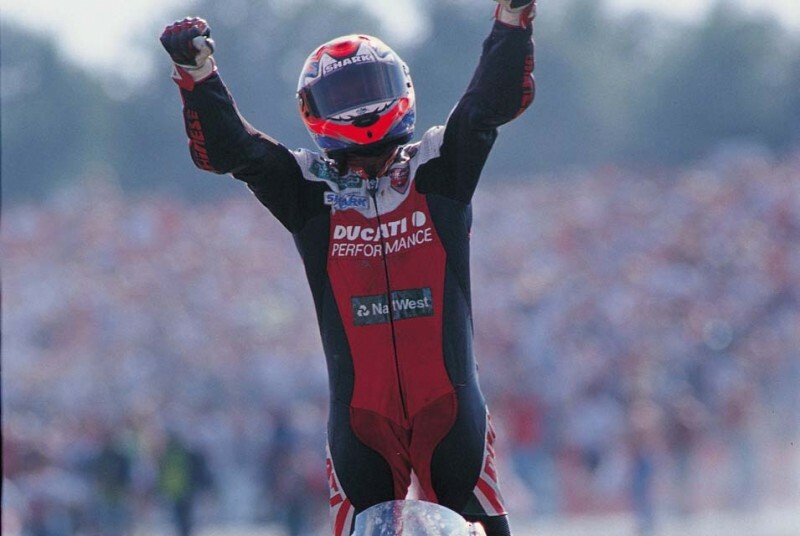 Ducati UK is inviting Foggy fans to a celebration dinner to commemorate the 20th anniversary of his first World Championship win. Hosted by Eurosport BSB presenter Matt Roberts on the Saturday of the Donington Park World Superbikes on May 24, Carl will be joined by special guests including, Niall Mackenzie, Ducati team riders – Chaz Davies and Davide Giugliano and Ernesto Marinelli, Superbike Project Director. Tickets cost £100, including Saturday entry, and the event for 120 guests will take place in Ducati Hospitality located on the Foggy Essses. It will be almost 20 years to the day that Carl raced at Donington during that famous 1994 championship year and he will reminisce and answer questions about his career.